In October 2017, the President of the United States officially declared the “opioid crisis” a national public health emergency. Since 1999, there have been over 165,000 deaths from overdose related to prescription opioids. The amount of opioids prescribed and sold in the US quadrupled since 1999, but the overall amount of pain reported by Americans hasn’t changed. This epidemic is devastating American lives, families, and communities. 1 in 4 patients receiving long-term opioid therapy in primary care settings struggle with opioid use disorder. The use of opioids (narcotics) for acute pain, immediate post-surgical pain, and pain associated with terminal disease (e.g. cancer) is well accepted. Their use in long term or chronic pain is at best controversial and, in many physician-scientist’s opinions, counterproductive and dangerous. Psychological addiction, physical dependency and drug abuse are commonly cited problems with opioid use. Yet there are many other deleterious side effects of opioids, some of which are quite debilitating. These include chronic constipation, nausea, vomiting, dizziness, sedation, delayed gastric emptying, hormonal dysfunction, immunologic dysfunction, and muscle disorders. Chronic nausea and constipation are particularly common. Perhaps the most underappreciated and under recognized results of chronic opioid usage, however, are tolerance and hyperalgesia. In other words, not only do opioids ultimately quit working and require escalating amounts of narcotics (tolerance), sometimes they create a biologically induced increased sensitivity to minor painful stimuli (hyperalgesia). Symptoms of opioid-induced hyperalgesia (OIH) include increasing pain intensity despite no change in the underlying condition as well extension of pain beyond the original pain pattern. As physicians who endeavor to relieve our patient’s pain every day, we are also well aware of the complexities and challenges involved in meeting this goal. At Florence Neurosurgery and Spine Center, we utilize the most modern techniques in “pain relief” including non-narcotic pain medications, interventional pain management procedures, physical medicine modalities, and minimally invasive surgical techniques. Although opioids certainly have a role in the management of acute post-operative pain, it is our belief that seldom are they appropriate otherwise. 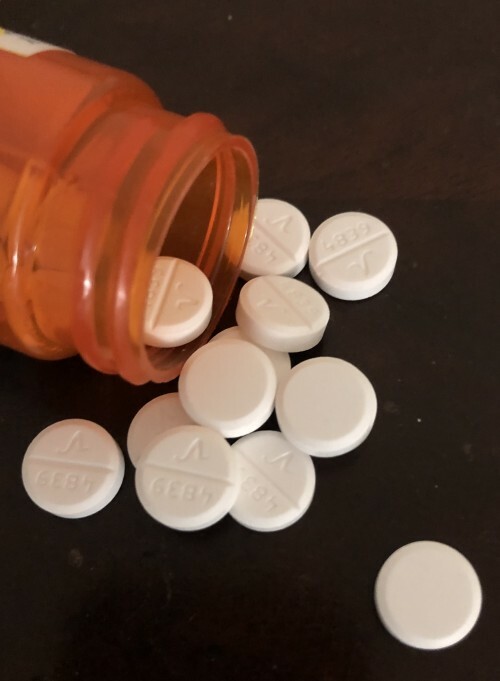 Through SCRIPTS, Florence Neurosurgery and Spine providers review our patient’s history of controlled substance prescriptions to verify the patient’s usage and help determine if he or she is at significant risk for drug overdose. The SCRIPTS report supplements a patient evaluation, confirms drug utilization and documents compliance. When appropriate, we also perform urine drug testing. on Saturday, 30 March 2019. © 2018 Florence Neurosurgery & Spine. All Rights Reserved.